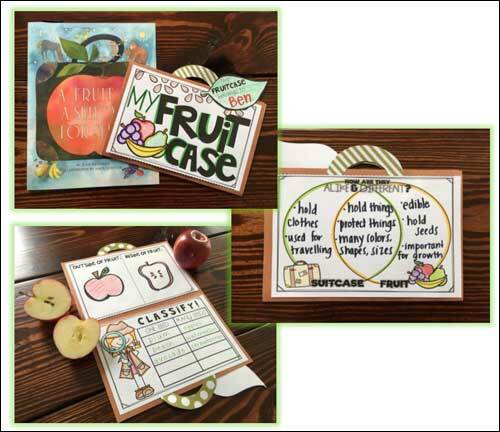 We love A Fruit Is a Suitcase for Seeds! 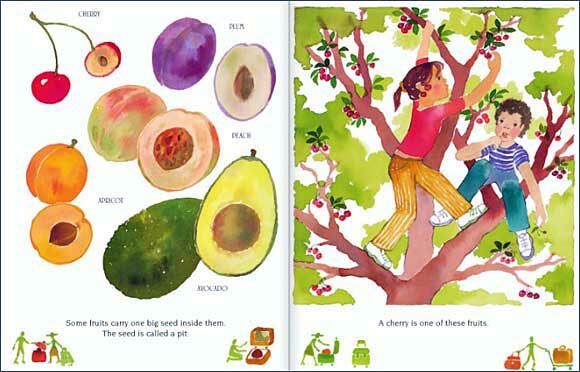 It's a kid-friendly introduction to the different types of seeds found in fruit. 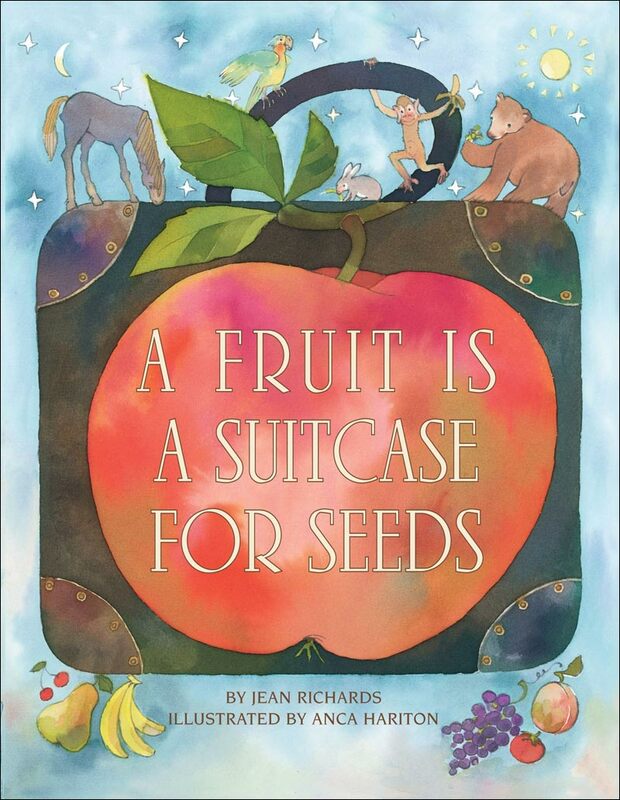 The book is built on the idea that "many seeds travel inside fruits. The fruit is like a suitcase for the seeds. It protects them on their trip." The last two pages include kid-friendly questions, answers, and facts that should definitely be shared with kids. For example, did you know the largest seed in the world weighs as much as a 5 year old! Wow! Read-Aloud vs. Individual Reading: This book is probably better suited as a read-aloud than it is for individual reading, as the reading level is a bit high for this audience. Many second graders can read this book, but the average reading level of preschool, Kindergarteners, and 1st graders is lower than this book, so it's best to read this one to kids in this audience. Below are two spreads from inside this book. 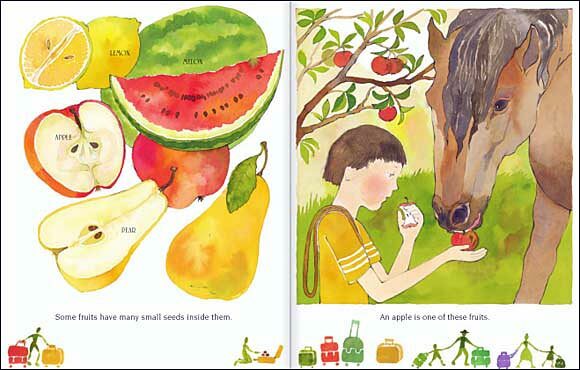 The first spread below talks about fruits that have one large seed and the second spread talks about fruits with small seeds inside. Subsequent spreads cover fruits with small seeds on the outside, etc... This book really is quite educational!